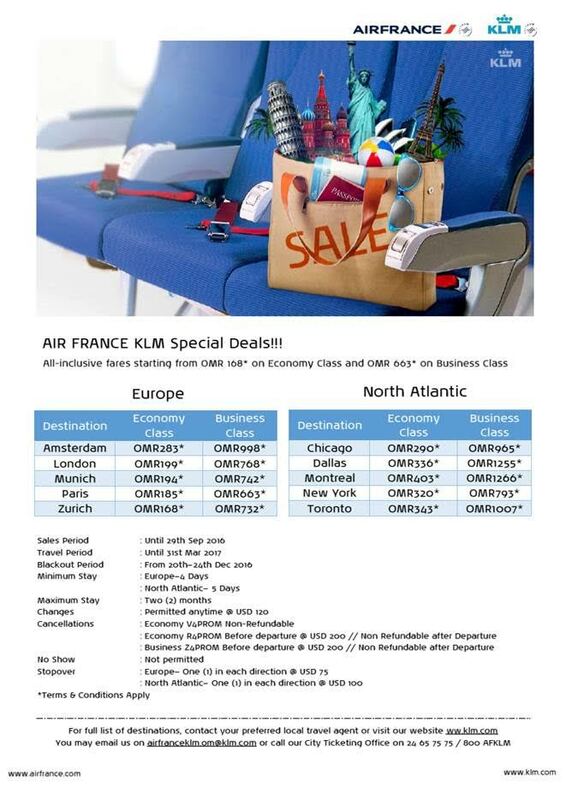 Well it looks like Air France KLM are once again having another pretty decent seat sale, with return flights to London for RO 199 / Toronto for RO 343 / Paris for RO 185 / New York for RO 320 inclusive of taxes on offer from now and for the next 3 days.The above flyer gives you all the details. From previous experience, these super-low rates are usually not available on peak travel times (Eg Thursday night) but if you call their ticking office on 2465 7575 they'll be able to help you. I flew with KLM a few years ago and didn't enjoy the experience, but then I flew again with them this summer and it was a great trip, and I intend to fly with them again the next time I head to the UK or Canada. Anyway, in case you were looking at booking flights... these are some pretty good deals. Sythe, your once-decent (other than the apostrophe's) blog has turned into a joke. Nothing to say; just taking freebies from local businesses to advertise their wares. I've never taken any freebies from Air France KLM, and the last time I shared a really good ticket sale (any return flights to London under 250 is good in my book) it was viewed nearly 10,000 times, so I figure people liked the information. Can't please everyone all the time! And I apologise about the apostrophe's! Sale or no sale, BA and Omanair have also had plenty of (direct) London flights in Nov for 200 rials return in the past few weeks. So singling out KLM is strange. No freebies or incentives from any other businesses either then (restaurants, cafes, hotels, equipment suppliers etc)? I singled out KLM because I get their spam... and I have had good experiences with them lately, and I felt RO 199 return to London was a good price - I wasn't aware of the other carriers' offers - I'm not a travel agent so I didn't check, I just simply shared something I thought was useful to people - and it appears it has as this post has been viewed some 8,000 times already. Is there a law that someone isn't allowed to receive recompense in return for a service? Are you not paid for your work? Isn't that the way the world works? Of course I've received freebies in the past, and will continue to take up some offers in the future, but the number of freebies that I take are *A LOT* lower than you might think. For example, I've never once been to an event organised by Axis Events that I can think of, I've not been to an Alive Events concert since they moved out to the Shang, the list goes on. The number of free meals I'm offered that I don't accept, probably on average 5 a month. If you'd like more content then drop me an email with some suggestions - I'm always very happy to receive constructive criticism! If I had the time I'd love to wax lyrical about a whole number of things, but with journalists being thrown in jail for 3 years and newspapers being shutdown, it's just simply not worth it to poke the bear. I appreciate your flights sales posts*. I'd go to London for that price if I could take the time off. I miss my favourite paintings, bookstores, and public transit. ----Yes, what can we write of, when it is so easy to know who we are? And you've got kids... so being daring... is hard;)...or not super smart. You are not Omani so I don't expect you to risk (the least being your job) to urge people to think or act in this country.